Fed Up Of Your Pet Catching Lice? Pets are the best things in the world until they get lice in their hair. For all the dog and cat owners whose pets have fleas, this electric lice comb is a must-buy! This dog flea comb is an amazing product that removes lice from your pet's hair almost instantly. 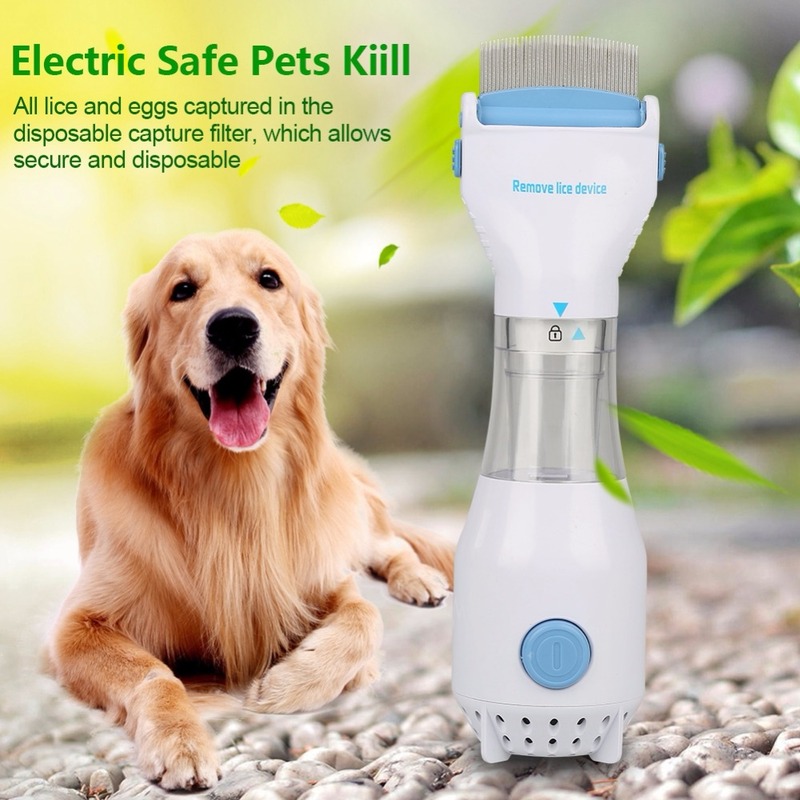 Simply turn it on and brush your pet's hair; the insects and their eggs get caught in the process and are deposited in the disposable capture filter. Later on, you can simply dispose of the fleas in a hygienic way without having to touch them. With this flea comb, you can brush your pet's hair the way you like it since it has rounded stainless steel teeth that can be adjusted at two angles. All these qualities make this product the best flea comb for dogs!